This functionality is available through the component specific System Plugin. The Reports feature can be used to generate a PDF file containing various SEO related statistics of your website. You can generate this report from the back-end area, Components - RSSeo! - "Reports" section. The PDF file containing the report can be generated on-demand, by clicking the Generate report button, or by sending it as an email attachment (triggered through a cron task created on your server). You can choose the frequency and day of the week when this will be triggered. Last, but not least we have included two new options in the Batch popup window within the Pages section: Canonical page and Custom HEAD scripts. 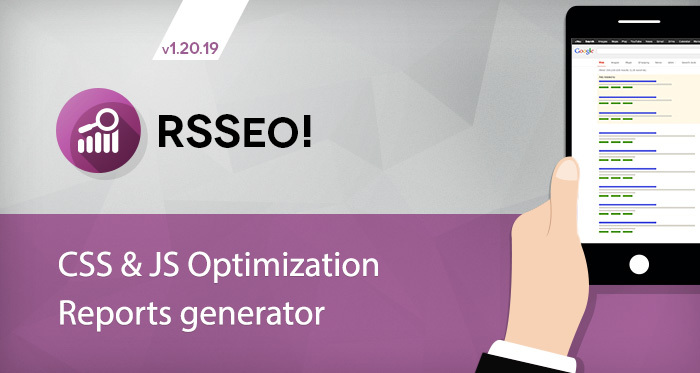 Now, if you want to set a canonical page, or to include a custom script within the head area of multiple pages at the same time, you can easily achieve this by heading to RSSeo! - Pages, select your desired pages and click on the Batch button at the top.